Let’s do an exercise: imagine that you’re at your favorite local joint and in a dusty corner stands a somewhat saturnine singer, crying into a standing mic while a man in the shadows accompanies him with an old piano and soft backup vocals. Now, imagine that the singer is former Walkmen frontman Hamilton Leithauser and the genius on the piano is ex-Vampire Weekend member Rostam Batmanglij. If you’re excited by this scenario, then you’ll be happy to know that these two indie rock masterminds have teamed up for a full album, I Had A Dream That You Were Mine. 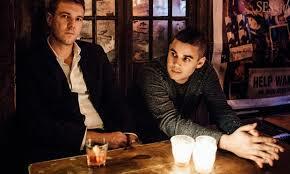 Batmanglij (known simply as Rostam professionally ) and Leithauser met and collaborated in 2014 for Leithauser’s first solo project, the Sinatra-inspired Black Hours. They soon formed a friendship over shared origins – both originally hail from Washington D.C – and a mutual sense of respect and admiration. The album masterfully combines Leithauser’s rough-and-ready bad boy howl with Rostam’s smooth production and international influence; a hint of Afro-pop influences, similar to those that carried VW’s first album, are noticeable in the background of certain tracks. The instrumentals follow a vintage sound throughout, where the doo-wops and the continual plink of a piano are accompanied by sparse drums and subtle horns. The album begins with “A 1000 Times,” which sneaks the album title into the chorus. The track is a good litmus test for what is yet to come, but is admittedly one of the less imaginative tracks in the collection. “Rough Going (I Don’t Let Up),” otherwise known as “that track with the doo-wops,” is a melange of sounds and musical genres. 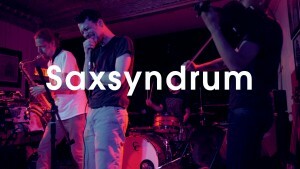 A bass beat reminiscent of a barnyard boogie underlays Rostam’s polite background vocals, with Leithauser’s ragged howl at the forefront of the track. On “You Ain’t That Young Kid” Leithauser speak-sings, painting an intimate picture of a man nursing a broken heart; the lyrics here are deliciously heavy and human. Clever tempo changes keep the track from feeling cut off. The first part features harmonica and plucked electric guitar, which then crescendos to feature an organ-like instrument and a slowed tempo; Rostam’s signature arpeggios litter the bridge as a powerful beat almost overpowers Leithauser’s vocals. The last tempo change returns the track to a more even-tempered, reflective place, featuring Leithauser’s vocals once again. “The Bride’s Dad” is the penultimate track, beginning with a wistful piano accompaniment and harmonies between the two artists; Leithauser’s timbre falls to his comfortable gravelly yell, while Rostam remains in the stratosphere. The track climaxes with a sudden crescendo, introducing thumping drums, hand clapping, and more forceful piano. The addition of the well-known synthetic choir accompaniment provides a moving finish. While the track is short, barely cutting off at two minutes, it is a powerful one. I Had A Dream That You Were Mine centers around the general theme of loss, but the music disguises the darker lyrics well. The tracks remain musically diverse: at times there is a raw and uncut feel to tracks, loose drums and lyrics slung with a casual “je ne sais quoi” attitude that flirts with the sadboy mentality – a trademark of the Walkmen. At other times, Rostam’s prowess as a producer and his influence as a member of Vampire Weekend shine through, creating musical gems that sparkle through underneath Leithauser’s dusty vocals and soulful lyrics. This entry was posted in Reviews and tagged album review, Hamilton Leithauser, I Had A Dream That You Were Mine, indie rock, Rostam, The Walkmen, Vampire Weekend on September 30, 2016 by Juliana Van Amsterdam. A brooding sense of instability sets in from the outset of A Boat Upon Its Blood. Rattling percussive clicks emerge from the crevices with a warm glow of electronic drone filling the barren soundscape. Around the midpoint, the audience is granted an element of melody but the uneasy darkness remains ingrained in every developmental move. With each song, bass saxophone player Jason Sharp continues to disregard comfortable resolution, utilizing the captivating nature of dissonance to its full capacity. Sharp also displays a mastery of texture throughout the record. Just as the bass saxophone lurks in the background as a simple cog in the machine, elements of ambient, electronic, and acoustic musical practices all circulate throughout the project with no single element taking over the majority of the focus. Bookended by two long-form pieces, the record dives into a slightly more dynamic pair of tracks in the middle. In doing so Sharp avoids formula, again feeding into the idea of instability. “A Blast at Best,” the second of these tracks, offers the most direct assault on the ears. Every moment in this track is filled with abrasive sounds: from fuzzy blasts of distortion to screeching saxophone and violin sounds, Sharp truly puts all his cards on the table. This is where track listing comes into play. From the beginning, the album breathes intensity; however, it also leaves room for growth by reserving the most chaotic elements until the second half of the album. Following this loud outgoing burst, Sharp returns to long-form ideology on “Still I Sit, With You Inside Me.” Violin grasps the spotlight for eight minutes of heart-wrenching melodic work before the second part of the piece moves into hopeful bliss and a final push into the anxious intensity so present throughout the project. Similarly to the final piece, the first lengthy composition is split into different tracks. In both cases the musical ideas melt into each other quite cohesively; however, contrast remains a vital component. “A Boat Upon its Blood Part 1” sets the dramatic tone for the space that follows, but an immediate crunch of dissonance hits at the beginning of part two. In the final section, the dissonance settles for a moment before a tense rhythmic motive ensues. Because of the nature of drone music, it is fair to consider that listeners might not pick up on the fact that the first three tracks are meant to be under one umbrella with the fourth track sparking the beginning of a new idea, but behind these contrasting aspects of each track lies an element of connection. In “Part 3,” rhythmic activity emerges from the remnants of the dissonant drones of “Part 2.” Obviously this signifies a change, but it also provides a nod to the first portion of the piece and its rhythmic intensity. On top of that, as “Part 3” continues forward, drones of electronic dissonance make their way into the soundscape and succeed in bridging all three tracks into one space. This idea of “cohesive yet dissonant/contrasting” can also be applied to the individual songs. Returning to “A Boat Upon its Blood Part 2,” the crunchy dissonance accomplished on this song is mostly enacted by the upper register. Played by acoustic string instruments, the raw droning notes juxtapose the clean electric tone of the bass part, adding even more shock factor to the dissonance. On the next track, “In The Construction of the Chest, There is a Heart,” a similar contrast occurs. Here, scratching rhythmic motives work alongside screeching electronic drones, making for another polarizing relationship. What it comes down to is the balance of blending and clashing. Sharp has a wide-ranging field of sound at his fingertips and his longer pieces showcase his knack for long-standing development, but by varying track lengths, and approaches to rhythm and sound pallet, the album successfully surprises throughout. This entry was posted in Reviews and tagged Constellation Records, donovan burtan, Jason Sharp on September 30, 2016 by CKUT Music Coordinator.